The national cable network Comcast has begun running what is the first advertisement regarding medical cannabis of the post-prohibition era. The advertisement, that has begun to run in markets where medical cannabis has been legalized through acts by state legislatures, including in Illinois and New York, will be rolled out into additional markets that are served both by Comcast Cable and by elected officials who understand the humanity in providing medicines to our sick neighbors. The paid advertisement promotes Marijuanadoctors dot com, which is a business that connects doctors who have experience prescribing medical cannabis with sick patients who are unable for many reasons to get the medical authorization to purchase prescribed medications in their state. 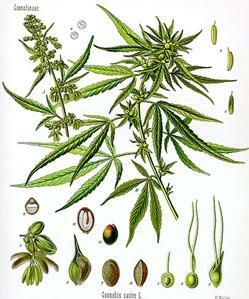 Even though cannabis has been legalized as medicine in 20 states (with 13 additional state legislatures considering legalizing medical cannabis), many patients still have difficulty finding a doctor who is willing to prescribe medical cannabis leading to the dangerous, untenable and perverse consequences of, for example, a horribly sick Parkinson’s Disease patient turning to the illicit market to obtain needed medicine. In effect, turning deathly ill Americans into criminals who have to risk both arrest by police and theft and injury by drug dealers in pursuit of life saving and pain ending medications. 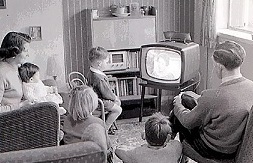 With nothing more from Comcast to analyze, the company’s effort (that is historically the first advertisement that has been presented to Americans on their TV screens involving the nascent commercial cannabis market) may have been inspired out of an altruistic concern for its viewers some of whom are sick and need the relief that medical cannabis can provide them and advertising the services offered by Marijuanadoctors has not been outlawed, or the motivation could have come from the company’s desire to cash in on a truly new and massive market – one can only speculate. But the historic advert does indicate we are living in a changed world. When the sick and diseased have easily satisfied needs, when suburban moms are lobbying statehouses in red and blue states to repeal prohibition, when international political leaders are finding their courage to confront failed drug warriors, when hippies and international corporations arrive at commonality, when state level politicos and cable company honchos realize the cash that they may be leaving on the table, the finger wagging and tut-tutting of dry-doper politicos and cultural custodians who are intent on maintaining cannabis prohibition are revealed to all as obvious self-serving, self-exculpating and legacy burnishing talking points that have only the effect of consigning more minorities in our country to lives with arrest records and more patients in our land living out lives in pain and desperation – arrests that don’t have to happen and pain and desperation that can be ended by compassionate Americans. As America steps confidently and comfortably into the post-prohibition era there are some who have apprehended the consequential demise of the cultural custodian/law enforcement industry that blossomed over more than eighty years of cannabis prohibition. While cannabis-ists and capitalists have celebrated the bold step that Colorado has taken to allow adults to consume cannabis for recreational use, prohibitionists are sounding the alarm that America is doomed. 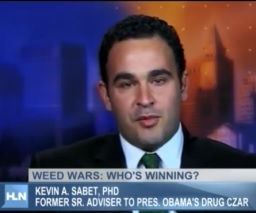 Kevin Sabet, the resident social scientist at the anti-legalization policy workgroup Smart Approaches to Marijuana that was organized by high profile drug warring prohibitionists from both parties (former democratic congressperson Patrick Kennedy and former speech writer for George W. Bush David Frum) penned an op-ed that was placed in the Washington Times recently that deploys scary conflations, manipulated statistics and veiled threats of the end of America as we know it decrying Colorado’s experiment. There was a time when Sabet’s finger wagging and apoplectic scare mongering found a ready audience. In early February 2014 the same old-same old anti-cannabis rhetoric sounds a bit like Anslinger styled reefer madness mongering. Heavens, America may not be capable of withstanding the onslaught of tie-dyed wearing dead-head fist-fighters committing burglaries across the Centennial State now that the pernicious experiment is underway. Sabet goes on to attempt to get the villagers all exorcised because “Multimillion-dollar private investing groups have emerged and are poised to become, in their words “Big Marijuana.” Really? I ask you dear reader, when was the last time in the brave and altruistic press in America you have seen the threat of moneyed industrialists scooping up an entire market to make boatloads of cash described as anything other than “the American way” and celebrated in an unqualified fashion as an example of pure American god gifted patriotic market manipulation? Mr. Sabet, while I personally agree with you that big biz coming into small markets and destroying long-time local small family run businesses with the assistance of bought-off local officials that drives down wages and is antagonistic to collective bargaining and limits our product choices to plastic disposables manufactured by modern-day slaves is destructive and threatens the American economy (see WalMart), I actually don’t remember you saying anything of note with regard to the development of the private prison industry in America over the past years (during the years of cannabis prohibition). You know, those mega-corps who get no-bid cost-plus contracts to house the human debris of your drug war. Contracts that require that these private prison facilities are stocked full of humans, including the victims of America’s racist drug war…you may refer to the biz as “Big Prison”. Sabet also points out (using another propagandist tactic- attempting to associate his point of view with an honored institution) that the American Medical Association “has come out strongly against the legal sales of marijuana” Well Kevin, the AMA also has “come out strongly” against universal health care, contradicting the humane and cost-saving practices of every industrialized country on the planet (excluding the US) who provide health care to all of their citizens irrespective of their income…you know, Kevin, as in humanity. The social scientist, out of genuine concern I am sure, is especially keen to inflame the passions of his audience informing them that they may be “shocked to hear that, according to the National Institutes of Health, one in six 16-year-olds who try marijuana will become addicted to it” Now, now Kevin, put down that Red Bull. While it is true that Americans’ addiction to tobacco leads to 400,000 deaths every year and alcohol addicts kill tens of thousand of innocents on America’s roads every year, you know Dr. Sabet that medical researchers say that cannabis is as addictive as caffeine – the killing drug that powers such deadly concoctions as Coke-a-Cola and that Starbucks espresso that you may have consumed as you prepared to write this op-ed. The real danger behind the small-d democracy experiment to legalize cannabis for adults to use recreationally in Colorado is revealed by Sabet when he confides, “We can expect criminal organizations to adapt to legal prices, sell to people outside the legal market (e.g. kids) and continue to profit from other, much larger revenue sources, such as human trafficking.” So…legalizing cannabis for personal use by adults in America will somehow contribute to an increase in human trafficking? What the hell are you smoking, Sabet? Feigning concern for us all Sabet asks, “Why do we have to experience a tragedy before knowing where to go next?” when considering the Colorado experiment. Here Sabet employs, embarrassingly, a shop worn tactic used by luddites and religious extremists for centuries; this change we speak of will only bring tragedy, we know that now – fear this change, fear our future, fear the truth. I wonder if Sabet is thinking of the tragedy of providing relief and cures for patients who are suffering today from horrible diseases like cancer, MS and Parkinson’s disease? I wonder if Sabet is thinking of the tragedy in millions of families whose brother or sister was arrested for possessing cannabis for personal use and now cannot become a lawyer, a doctor or president of the United States because of their criminal record? Witnessing the lengthening of the already long shadows on the blackened tarmac of America’s drug war, the sun finally setting on the despicable, anti-science, human misery creating and racist war on cannabis, Sabet bleats the warning; “Voters in other states should watch Colorado closely and engage in a deep conversation about where they want this country to go.” I do agree with the good doctor on this point…watch Colorado, think about the possibilities for our future, and follow, America. This past week state and federal officials raided more than a dozen Colorado cannabis dispensaries and greenhouses and two homes. The agents, including officers from both the DEA and the IRS, had obtained warrants for 10 individuals connected with the raided properties. The Denver Post obtained a copy of the search warrant that allowed the agents to seize “everything from pot plants and cash to financial records, safes and computer flash drives”. No arrests were made during the sweep that took place over the course of several hours on Thursday. An attorney for one of the individuals cited in the warrant, Laszlo Bagi the owner of Swiss Medical in Boulder, said that the agents seized $1 million worth of plants from his client’s facility and that the agents left no “instructions saying don’t replant. There was no court order of cease and desist. No explanation,” adding that his client adheres to Colorado’s state laws regarding cannabis sale and cultivation. Also named in the warrant are Luis Uribe, Carlos Solano, Gerardo Uribe-Christancho, David Furtado, Juan Guardarrama, Carlos Solano-Bocanegro, Jared Bringhurst, Felix Perez, John Frank Esmeral and Joseph Tavares. At the time of the raids on Thursday, which took place a short six weeks before the historic Colorado law legalizing the recreational use of cannabis by adults will allow the commercial sale of the substance for the first time in the nation, with no additional context, led cannabis advocates to cautiously question the motives of DEA as reported in articles such as the Huffington Post’s report on the raids titled, “Colorado Medical Marijuana Raids Show Industry Still Risky“. The Post reports that the raids were based upon allegations of “trafficking marijuana outside of states where it has been legalized, money laundering and providing revenue for criminal enterprises, including gangs and cartels.” One of the subjects of the search warrant, Juan Guardarrama, was recently convicted of racketeering in a case that involved Colombian and Cuban gangs in Miami selling diamonds stolen from gem dealers. During the investigation that resulted in his arrest, Guardarrama reportedly asked under cover agents to help him traffic legally grown Coloradan cannabis in Miami and “take out” a Coloradan business partner. The entire incident serves also to deftly exemplify the fatal flaws of cannabis prohibition, especially in the new world created by the citizens’ initiatives in both Washington and Colorado and where broad and sustained majorities of American adults approve of ending cannabis prohibition. What we saw this week and what all parties agreed was the most appropriate course of action was, a daylight police raid with its attendant dangers, pulled off in several locations including at a home in a toney suburban subdivision (a mile from Denver Bronco quarterback Peyton Manning’s home). Where alleged international gang members’ properties and possessions were confiscated, although no arrests were made. Where the confiscated property belongs to individuals who had multiple business locations and, in the case of two of the suspects, had received approval to invest $6 million to build a cannabis grow house in Pueblo County to help boost to economic development. Where the legal product of other cannabis distributors was destroyed by state and federal officials (many distributors rent growing facilities that are shared by other distributors- as was the case in this raid). Where the crazy quilt of local townships’ desires to increase economic growth, local and state regulations covering everything from simple city licensing and state registration requirements to state and federal criminal statutes and as always with the inextinguishable human impulse to “maximize profits” (in a manner of speaking) in this world of commerce can, really, only lead to 26 year-old Columbian gang members buying $1.5 million homes in a suburb near you (should you live in one of the two visionary and courageous states that have legalized consumption of the benign and medically important natural and easy to grow substance, cannabis). A new poll of Coloradans released last week by Public Policy Polling found that likely voters in the state support Amendment 64. 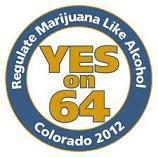 The ballot initiative seeks legalization of marijuana for personal use. The measure calls for regulating the substrance in a similar fashion to the way the state regulates the sale of liquor. The survey of 779 likely Colorado voters in the first week of August found that 47 percent of respondents would vote in favor of Amendment 64 if the election were today. Only 38 percent of the respondents would vote against marijuana legalization in Colorado and 15 percent said they were not sure how they would vote.